Sometimes a tee is simply in order. A tee with a strong message? That's a no-brainer. I love this outfit because the cardigan color is unexpected and just adds a little extra to the outfit. BTW, I found your blog from the Pinky Promise Movement Network- Bloggers for Christ group! Nice! 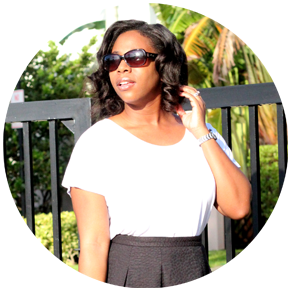 You're the THIRD blogger that I've seen wear a basic tee underneath a cardigan or blazer! I think cardigans and tees are a must for every woman's wardrobe! And blazers too. They are easily paired with jeans, pants, and skirts. I also like the fact that it's not obvious what "Salyte" means, so folks would have to ask you, and you can start a conversation and get to witness! Neat. Yesss! I like that about Salyte too! the graphic tee with a fancy skirt and shoes looks AMAZING!